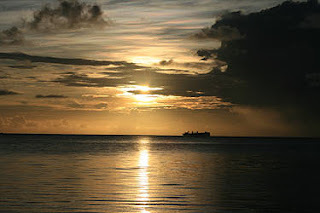 About Saipan - Saipan is the largest island and capital of the Commonwealth of the Northern Mariana Islands (CNMI), a chain of 14 islands in the western Pacific Ocean. Located at latitude of 15° north and longitude of 145° east, about 120 miles north of Guam. You should be able to find Saipan on the map south of Japan and east of the Philippines. 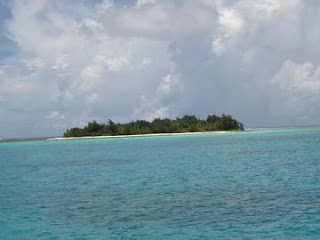 The western side of the island is lined with sandy beaches and an offshore coral reef which creates a large lagoon. The eastern shore is composed primarily of rugged rocky cliffs and a reef. 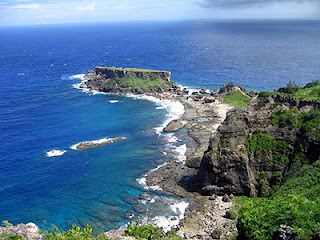 Its highest point is a limestone covered mountain called Mount Tapochau at 1,554 ft.
History - Saipan, along with neighboring Guam, Rota, Tinian, and to a lesser extent smaller islands northward, was first inhabited around 2000 BC. The Spanish were the first Europeans to encounter the Chamorros and eventually annexed Saipan as part of its claim to the Mariana Islands. Around 1815, many Carolinians from Satawal settled Saipan during a period when the Chamorros were relocated to Guam. Germany ruled Saipan from 1899 until 1914, when the Empire of Japan took over the island under a League of Nations mandate. The Japanese developed both fishing and sugar industries, and in the 1930s garrisoned Saipan heavily, resulting in nearly 30,000 troops on the island by 1941. On June 15, 1944 during World War II, U.S. Marines landed on the beaches of the southwestern side of the island, and spent more than three weeks fighting the battle of Saipan to secure it from the Japanese, an event which was dramatized in the film Windtalkers (the movie was not filmed on Saipan by the way). The US used Tinian to stage air raids on Japan, including the atomic bomb drops on Hiroshima and Nagasaki. Bypassed by the US invasion forces, Rota came out of the war relatively unscathed; Saipan and Tinian, though, were devastated, as was the sugar cane industry. The United Nations made the Marianas a department of the Trust Territory of the Pacific Islands in 1947 and gave the USA exclusive rights to administer them and to establish and maintain military bases. Rather than encourage economic development, the USA administered the islands by providing handouts. In 1948, the Central Intelligence Agency (CIA) closed off half of Saipan to islanders and outsiders alike, using the northern part of the island for covert military manoeuvres. When the CIA moved out of Saipan in 1962, the Northern Marianas were finally opened to visitors. The following year, the Trust Territory headquarters was moved into the CIA's old offices on Saipan. 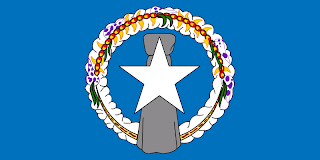 The people of the Northern Marianas voted to become a US commonwealth in 1975. In return, the US military got to lease nearly 30 square miles of land in the islands. Under the terms of the commonwealth agreement, the Northern Marianas retain the right to internal self-government, while the USA retains control of foreign affairs. In 1986 a new commonwealth covenant became effective, granting islanders US citizenship. Weather - According to The Guinness Book of Records, Saipan has the world's most equable temperature, averaging 81°F year-round. Humidity is always high but the even temperature and fresh sea breezes means conditions are never too stuffy. The rainy season is from July to October. Visas - US citizens need no visa and can stay as long as they like; non-US citizens can stay visa-free for up to 30 days. Tourists can get an extension of up to two months.